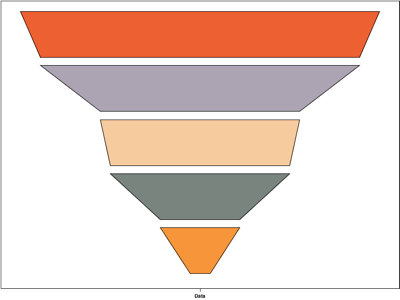 Version 2.4 of the Graph library allows you to use a stacked bar chart with a few extra attributes to display data in a funnel chart. 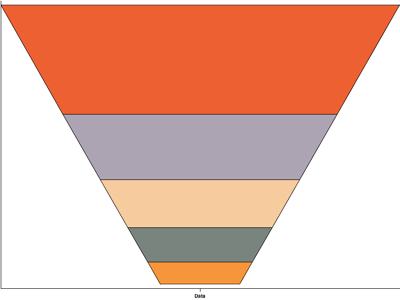 As the image above shows, the width of each series has been scaled according to its relative height to present the data in a simple funnel shape. 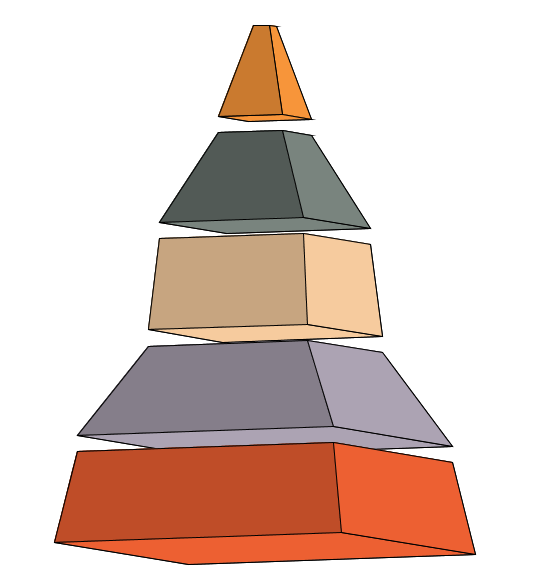 The examples below demonstrates this, as well as some labels on the chart. 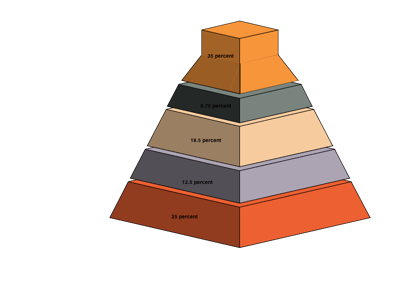 Notice how if you set bottombarwidth to 0 you get a pyramid chart. 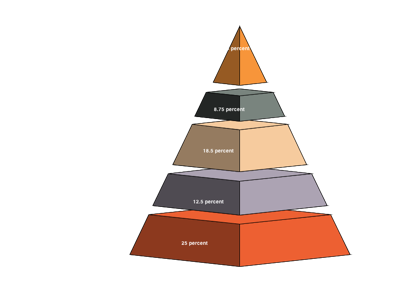 And of course, as funnel charts are the same as stacked bar charts then you can use any of the other attributes available for those charts to rotate the charts and display them in 3D, as shown below. 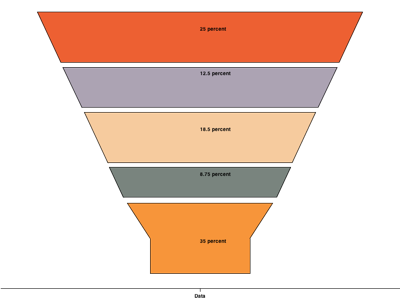 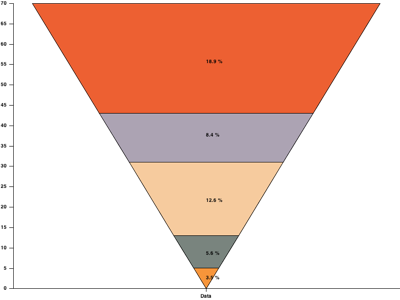 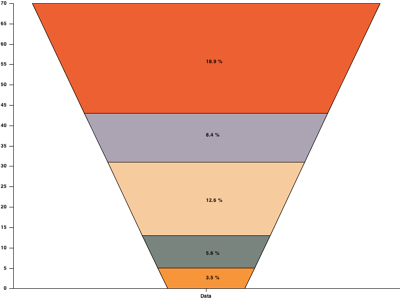 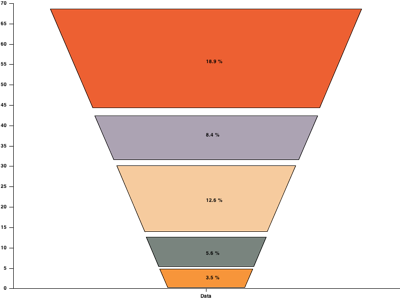 An important feature of funnel charts is that they were designed around a single stacked bar series chart, so if you try to combine multiple funnel bar series in a single chart then the results will be unpredictable.